Want to SUPERCHARGE Your Results with Video? 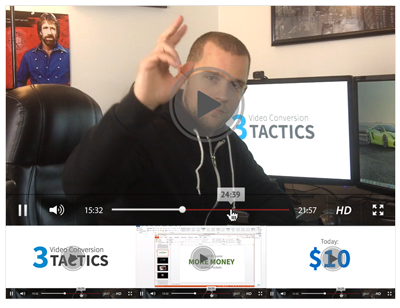 Grab Attention & Turn Viewers into Buyers"
Over the course of 18 detailed video lessons, you'll learn how to create high converting videos that sell more of anything online. 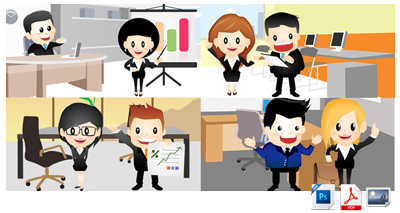 Sales videos, video sales letters, pitch videos, upsell videos, lead gen videos, launch videos, explainer videos and more. You'll learn how to make them all in this course. The one thing you must figure out before starting any video, and why your video will fail if you don’t figure this out. How to write high converting scripts for your videos, so you can convert more of your viewers into buyers. How to find the perfect voice of your video and why it’s more important than you think. Use this simple video planning tactic to create blockbuster videos that people actually want to watch. My top 5 favorite tools for creating high converting sales videos, upsell videos, lead gen videos, web commercials and more. The quick & easy way to shoot live action footage on the cheap. Follow along with my “quickfire” video editing technique and create your own marketing video masterpiece. Lost viewers = lost sales. Here’s how to make sure everyone sees your video, no matter what kind of device they’re using. Bad video hosting = slow load times = lost sales. Here’s how I host the videos that power my 6 figure businesses. The common breaking points in most marketing videos and how to keep your video profitable for yrs to come. 100+ cartoon characters, backgrounds and icons to use in your videos! You'll get source files for all of them to edit as you wish, or use as is. 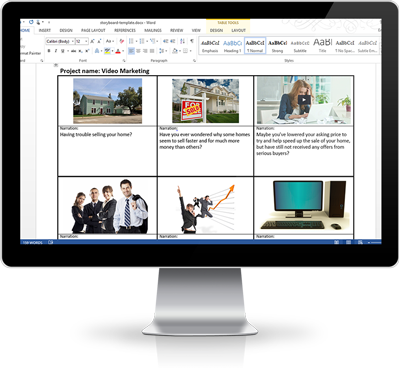 Use this story board template to quickly & easily plan out your videos like the pros! Get a behind the scenes look at what went into making one of my highest converting sales videos to date! How is this different from your Promo Video Pro course? 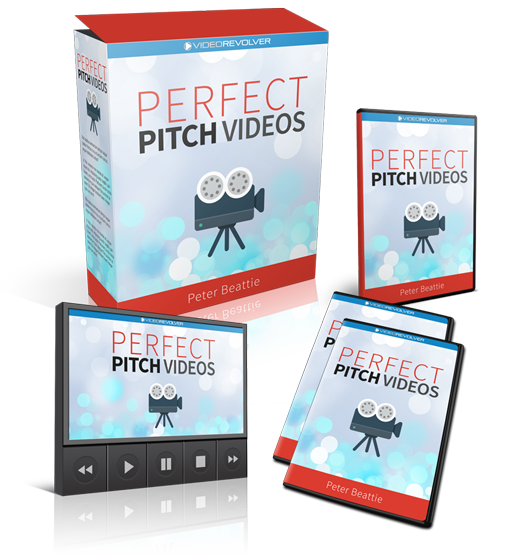 I knew you'd ask 😉 Well, for starters Perfect Pitch Videos is brand new and contains my new and updated video creation strategies for 2014. Promo Video Pro was released in 2012 so some of my techniques used in that course have changed in the past 2 yrs. But, Promo Video Pro is still very relevant today (it still sells every day). So aside from release date, the main difference between the 2 is that Promo Video Pro is a case study. You actually watch me create a product launch video in real time to launch a brand new business of mine. It doesn't go into the production side of things as much as Perfect Pitch Videos. You're basically looking over my shoulder in real time. Perfect Pitch Videos covers IT ALL. From coming up with the idea of your video, writing the script, different animation tools you can use to make your video, audio engineering for profits, profit optimization and much more. They're both different and cover different strategies so you really should own & study both if you're a serious video marketer.